Are you looking for a professional service to clean you carpets or upholstery? Do you have a stain on your carpet or favorite chair that needs to be removed quickly? Do you need to clean your residence for an upcoming event? You’ve found the help you need with Friendly Cleaning Services in Overland Park! Need a professional carpet cleaning service for your Overland Park home or business? My name is Brian Asher and I own and operate Friendly Cleaning Services, overland park’s carpet cleaning and rug cleaning service. I have been in the cleaning industry for more than 30 years and was raised in the cleaning and restoration business. My goal is to provide the very best service available for our customers at an affordable cost. Being the sole owner/operator of the business means you get me on every job, not hired help. I am committed to always providing the very latest in cleaning and stain removal products and services that are the most effective for removing soil and stains from your carpet, along with the fastest drying times possible when cleaning carpets. In all the years I’ve been in this business I can say that I’ve probably seen it all when it comes to carpet cleaning and rug cleaning in ks. So when we do the initial walk through, I can tell you with confidence which spots and stains will come out and which ones may not. I offer several different cleaning methods for different situations including truck mounted hot water extraction, low moisture encapsulation cleaning, and portable steam cleaning for high rises and commercial buildings that are secured. You can be sure that which ever carpet cleaning method we decide on for your specific needs you will get professional courteous service. I have expert training by the IICRC and have spent many days of classroom training in the latest methods and procedures of cleaning and stain removal. In addition carpet carpet and rug cleaning I also offer furniture cleaning, tile and grout, wood floor cleaning and water damage services along with air duct cleaning.
" Ive used Friendly Cleaning Services for years, always on time and Brian always goes above and beyond to make our carpets look great. Best carpet cleaning service in the area! " 1. First and foremost, we always pre-vacuum your carpet first for many reasons. Some of the benefits of vacuuming include: it’s easier to remove hair, lint and sandy soils from the carpet fibers when they are dry rather than after they get wet. It also allows me some time to mentally inventory where the spots and stains are as well. 2. The send step of our cleaning process is to apply a pre-conditioner to the areas that are to be cleaned, this is the detergent. 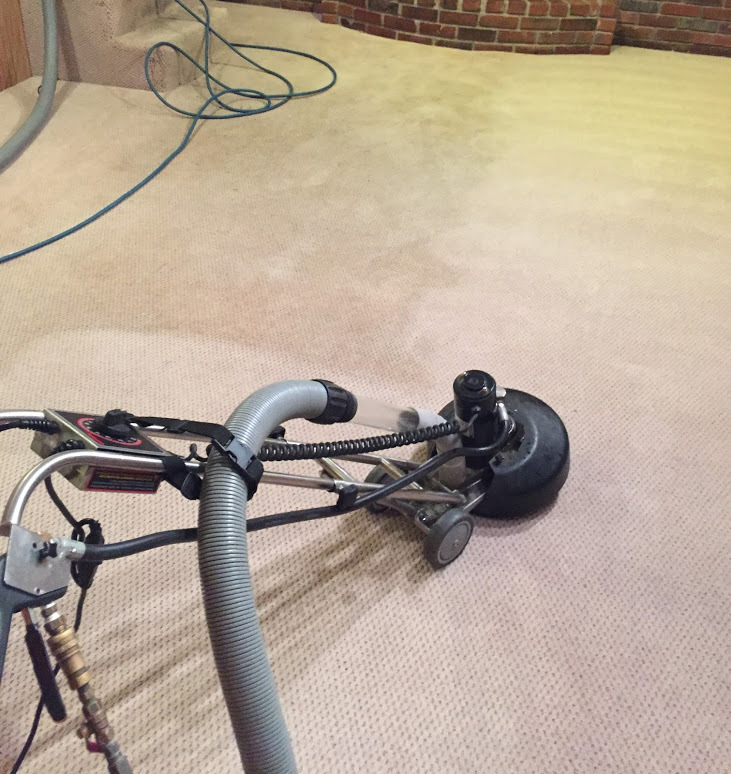 This procedure is done to loosen the oily soil’s bond from the carpet fibers, making them easier to remove during extraction. We do this separate from the rinse to avoid leaving sticky residue behind. 3. Power rinse. This is the step most people see as the actual cleaning step. 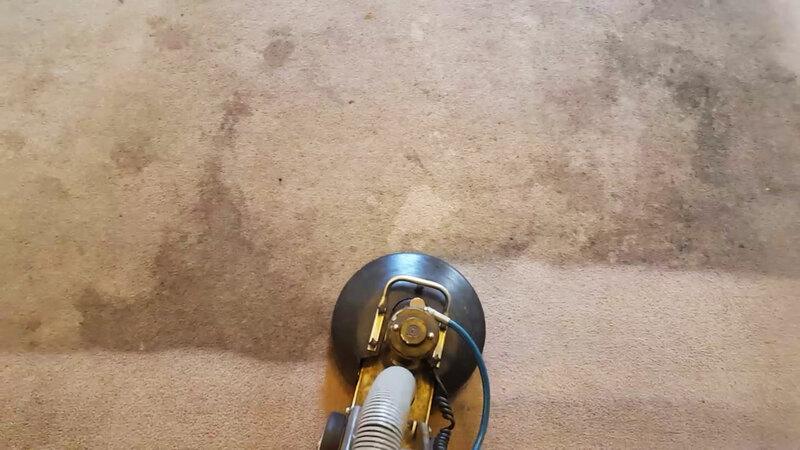 The difference in the Friendly Cleaning way from other carpet cleaners Overland Park KS is: We don’t really on a manual scrub wand like most companies do. We prefer to use a powered scrubbing and rinse tool to provide a more consistent finished product then a manual rinse tool ever could. The fibers are thoroughly flushed using hot water extraction, leaving no chemical residue like other overland park carpet cleaners. 4. Work on the remaining spots or stains. These may include: rust, grease, paint, koolaide, wine, pet accidents and many others. 5. Place a fan in the room to power dry it. We want to get your carpet dry as fast as possible. 6. Groom the carpet with a special carpet rake to make the carpet stand at attention which helps to speed the drying much like combing your hair after a shower.